Messmör is my all time favorite spreading. It's so good! I've missed it since I moved here to London a month and a half ago, and did not come up with the idea to go to a Swedish store and buy it until just now. 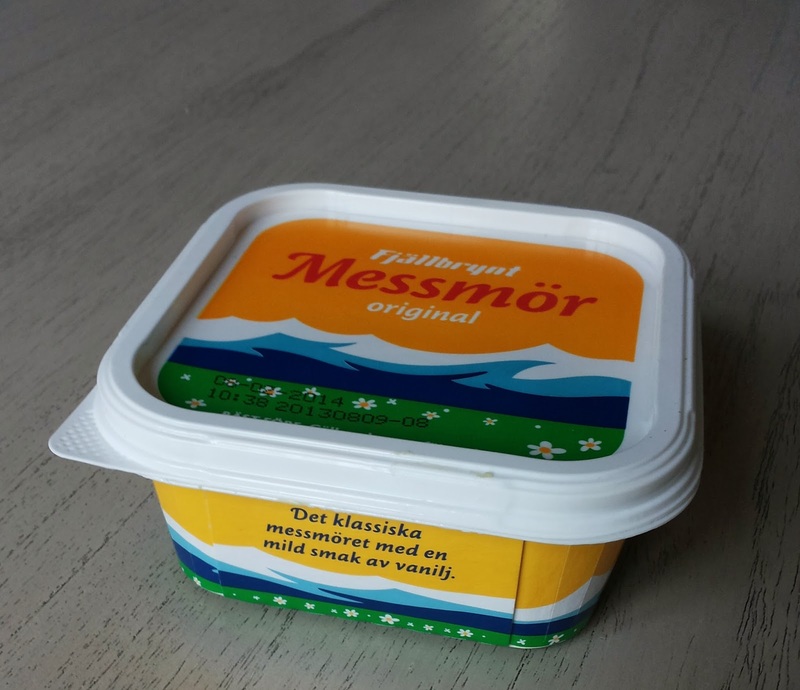 Messmör is a Swedish dairy product that taste kind of sweat. It is hard to describe the taste of it. The only word I have for it is... well, GOOD! Since it is a Swedish product it is probably not available at your local London food store. If you want to try it my tip is to go to a Swedish store. In London there are a couple. Scandinavian Kitchen lies about 250 meters from Oxford Circus. It is both a cafe and a shop. Totally Swedish is a chain of food stores. There are two here in London. If you buy it you need to try thees three Messmörs sandwiches. 1. Simply take a slice of bread, spread some butter on it and then some Messmör. 2. A little more advanced. Take bread and spread some butter on it. Put some Messmör on the bread and then a slice of cheese. Done! 3. Might seem weird, but Messmör is really good to eat with banana. Just put a layer on top of a banana and eat it with a spoon.